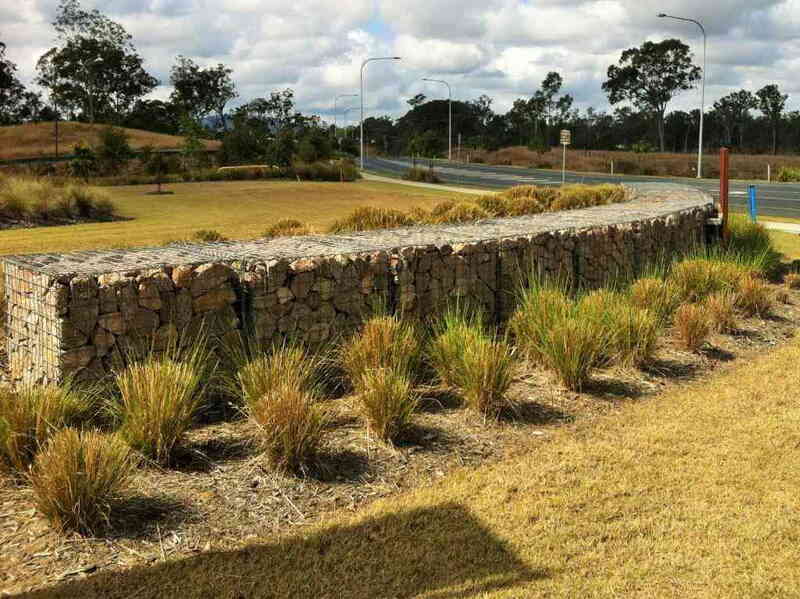 Century™ Gabion are a trusted, technically sound way to retain earth and combat soil erosion. Century™ Gabion are rectangular wire mesh baskets filled with rock to create flexible, permeable structures such as retaining walls for architectural, mining, industrial and road projects. They are also used for erosion protection, weirs and bank stabilisation and to create architectural and design features. Century™ Gabions have been widely used across Australasia for over 5 years. Century™ Gabions can withstand high shear stresses and earth pressures and can be easily adapted to site conditions. Century™ Gabion baskets and cages are manufactured from mild steel to a minimum wire coating of 300 grams per m2 (composition of Aluminium and Zinc). 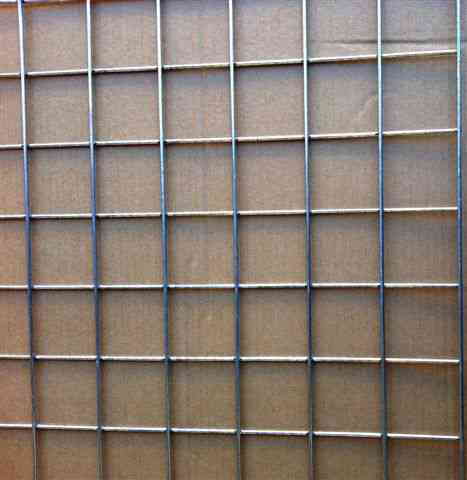 The mesh is manufactured in Australia to meet and exceeds gabion specification ASTM 974-97. Century Gabion cages are site filled with hard durable rock to form an earth retaining structure..
Gabions can be used in a variety of different applications from mass gravity retaining walls in highway projects to architectural feature walls. Gabions form flexible retaining structures that can accommodate differential settlements. They are also permeable eliminating the main cause of instability of soil retaining structures. Gabions have also been shown to provide a good balance between engineering requirements and environmental considerations for earth retaining walls in rivers, along roads and railways. Suited for Australia’s harsh environment. Century Gabions can be stepped, vertical or battered to suit your project. They offer an environmentally friendly alternative with low installation costs. Century Gabions are a durable and adaptable option for soil erosion and bank stabilisation projects. Having been used in Australasian projects for over 50 years, they have a proven performance record and remain cost-effective. To support your design of retaining walls, slopes, embankments, architectural structures and rockfall protection we offer technical advice (limited) FREE to our clients. Our team can also provide a design service (fees apply) if required. Gabions are delivered to site flat-packed. Ready to be assembled onsite, placed into position, and filled with a hard durable rock. Hard dense quarried stone in the size range of 100 mm to 250 mm is normally used to fill gabion cages. The modular nature of gabions means that it can be used in a vast array of applications and configurations. To protect the quality of your project, the Defined Style team provides on-site installation training as well as guidelines and diagrams to assist contractors. Our recommended specialist Gabion installers can construct sample units on-site before works begin to ensure products are installed as per our recommendations. Once the sample units are approved by engineers or the client, the Gabion works can go ahead. Pneumatic lacing tools are available for hire from Defined Style. These tools have been shown to halve assembly time. We also sell lacing rings (“C” rings) and preformed bracing wires that assist in creating a straight Gabion face and speed up the installation process. Century™ used under licence from Urbankubez Australia.